I first joined a football team in October 2014 in Siem Reap and I thought it was mainly going to be expats who played. 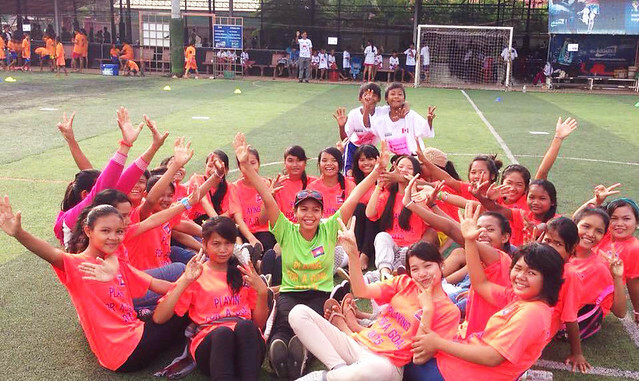 But I was very happy to see many Khmer (Cambodian) players and more women playing than I thought there would be. The reason I was surprised is because there are still many families who don’t encourage or allow girls to play sports and often raised to be housewives. I always admire the strong women on my old football team because several of them went against their families’ wishes for them to stop playing football or go to school. They found their own jobs and funded their own education to enhance their knowledge and skill while continuing to find ways to play the sport that they love so much. 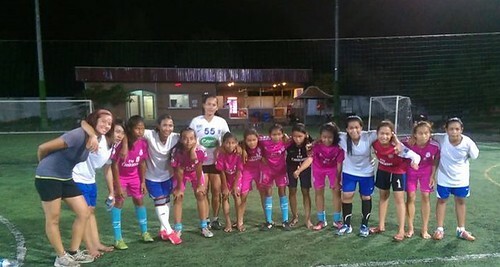 We recently had a friendly game with a team of teenage Cambodian girls who were trained by a professional coach. I was ecstatic to see how fast, coordinated and well these young women played. They beat us but we were lucky to even get a few goals in for that game because they were so good. One of my teammates coaches young Cambodians to play and I hope to see an increasing number of young women playing football to increase their confidence and so they continue to have the belief that they can play as well or do anything that the boys are allowed to do.